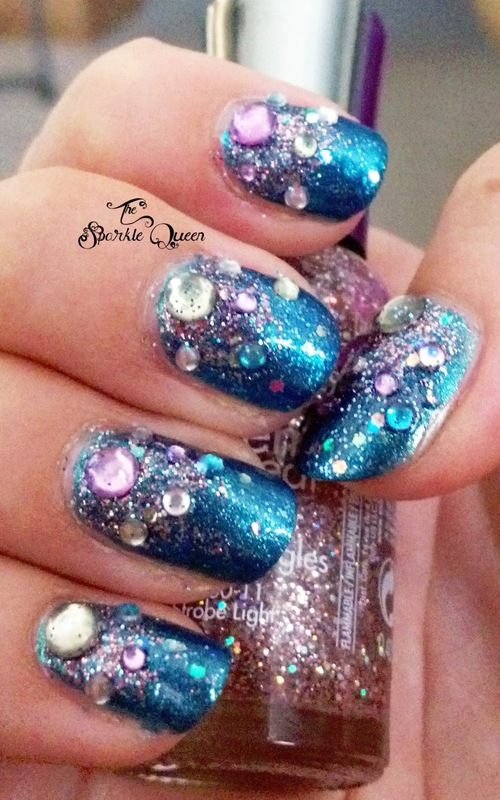 want to do on your nails sometimes when you have so many options to pick from. 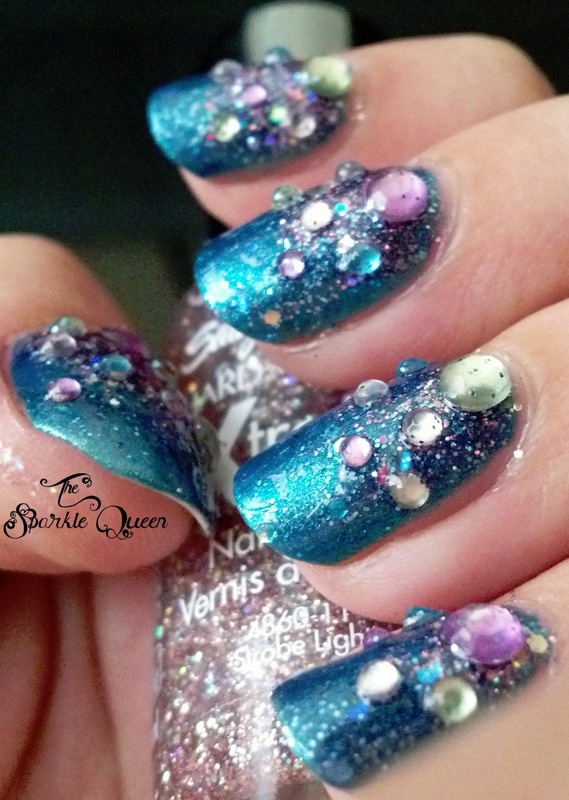 polishes of his choosing, and then using those to create a new nail art look. I was so relieved with the polishes he picked for this week. feeling to it, but still super pretty and absolutely brilliant in the sun. Can’t really complain about that kind of sparkle now can ya’! Here are two more picture that I snapped that really show off the look well. You can also see how I used the pink glitter as a gradient coming from the base of the nails upwards. #hepicksmypolish or share them on Facebook with me! I’d love to see what you make! Love this!!! I keep singing "Under the Sea", in Sebastian's voice of course. So pretty! And as a fellow glitter-ite, you know I love the bling!!! Fiancé did a fabulous job!! This week, lol. Thank you Lisa! You know I love my bling hehe! This is sooooo pretty! I love the extra bling. The Little Mermaid is my favorite Disney movie… I was so excited to see this. You know I was diggin the music too! Did your fiance pick out the bling too? I might have to have my guy pick out some nail art stuffs too! Oh good! I'm glad you like it. LOL did my fiance pick out the bling….not quite yet. I have little stashes all over our place with my polishes since I don't have one proper place for them all. And he keeps forgetting where they are all at when he picks out the polishes. Even I sometimes forget, but then he has to try and remember where I've squirreled them all off to. I'd figure I'd be nice and not overwhelm him with my bins on nail art "extras" as I call them. Baby steps lol. Thanks Char! I was super lucky with my selection this week! Wow! 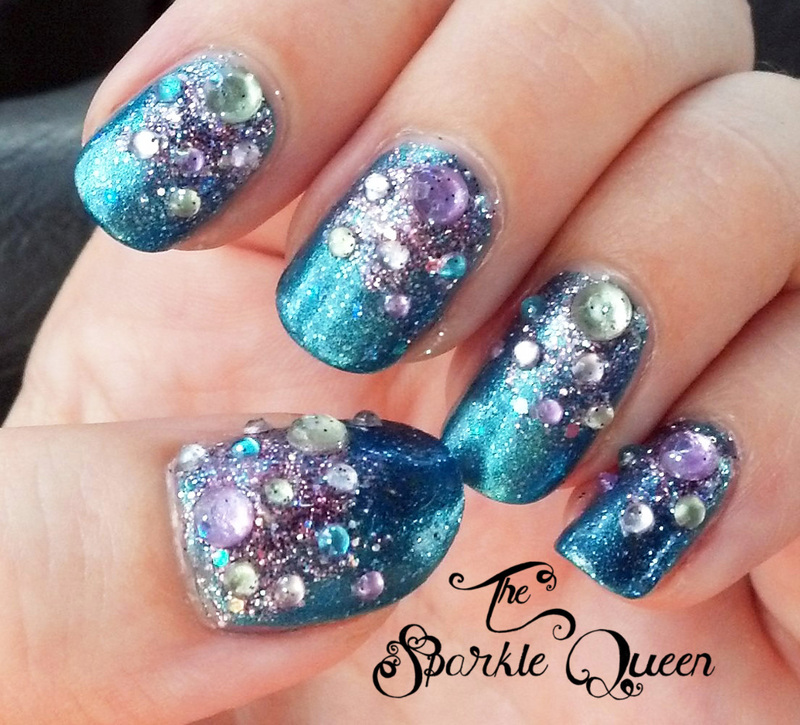 This mani is absolutely stunning! So sparkly!!! Love it! Thank you! 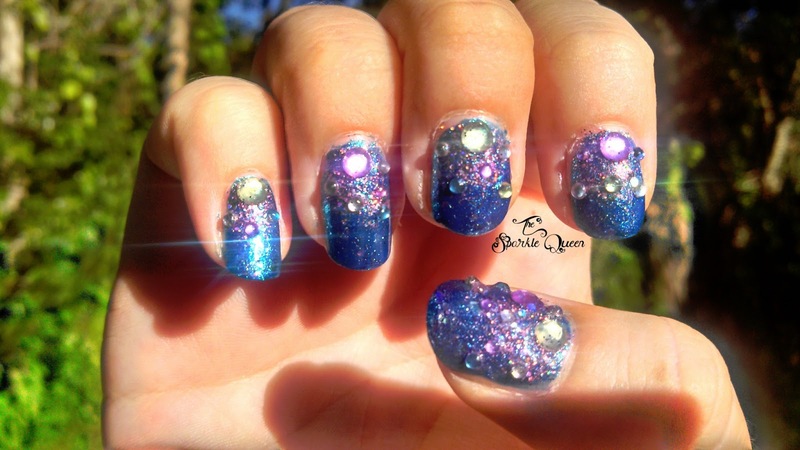 I think they hardly compare to your beautiful kaleidoscope mani though! I am just loving that look….so gorgeous!